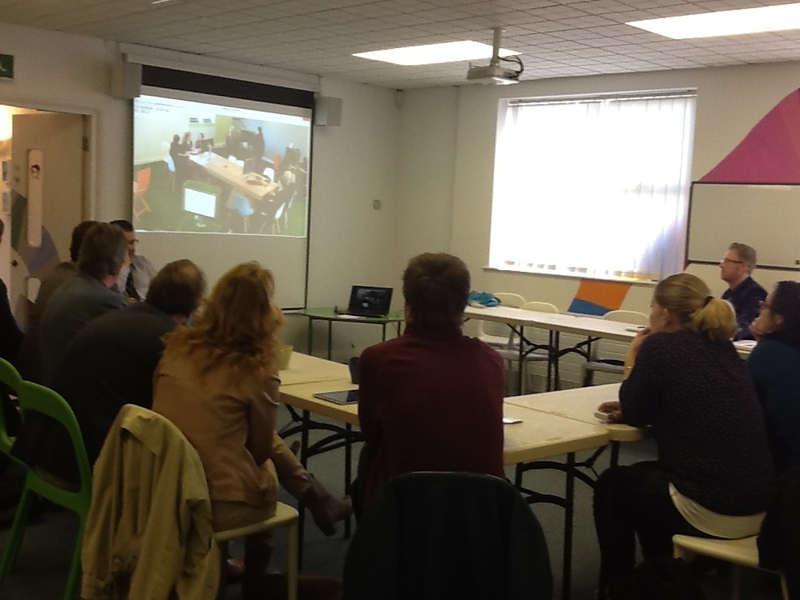 Our Staff Enquiry group (a group of teachers here at Greenfield who are focussing on SOLEs and Room 13) met for a catch up this week and were able to share teacher’s experiences of working in the new Room 13 space and SOLEs. They discussed the challenge of setting the ‘right’ big question. They were interested in the role of the granny and how this may develop in the British Education System. There was talk about the difficulty at times not to interject and steer the learning with a class in the room. 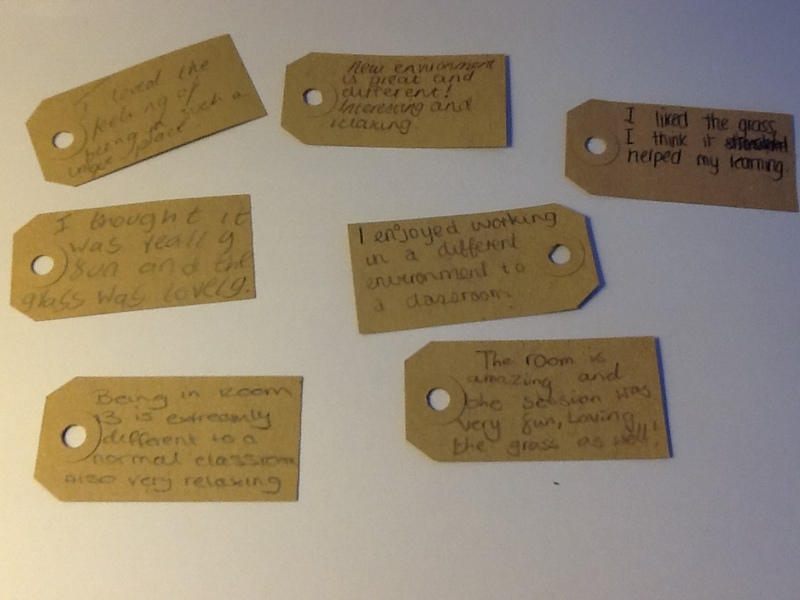 Staff discussed feedback from students and parents and mentioned a lovely note from a parent about how much their son had been talking about Room 13 at home, their learning in there and how much they are enjoying school and the SOLEs method. We have been developing a “handy handbook” full of the principles of SOLEs and how these can be employed, “top tips from students”, “top tips from staff” and more. This compliments a big area of information and capturing of data/images/information on Greenfield Community College’s Virtual Learning Environment – Moodle. We have a series of SOLEs sessions with primary schools planned over the next two months, where we will be testing a number of different “big” questions about Global issues. The results of the Chilton Primary School’s out of school SOLEs work exploring books they will buy for their library. What makes a good book? What makes you choose a book? A visit from a local primary school for an afternoon of CPD this week about SOLEs and enquiry methods. And we are planning a trip to the Netherlands to work with colleagues there and share ideas. So much to do, so little time. We’d better get cracking! Word is spreading about Room 13! The innovative new learning lab based at the Community & Arts Centre at Greenfield Community College in Newton Aycliffe is only the third ‘School in the Cloud’ to be opened anywhere in the world. 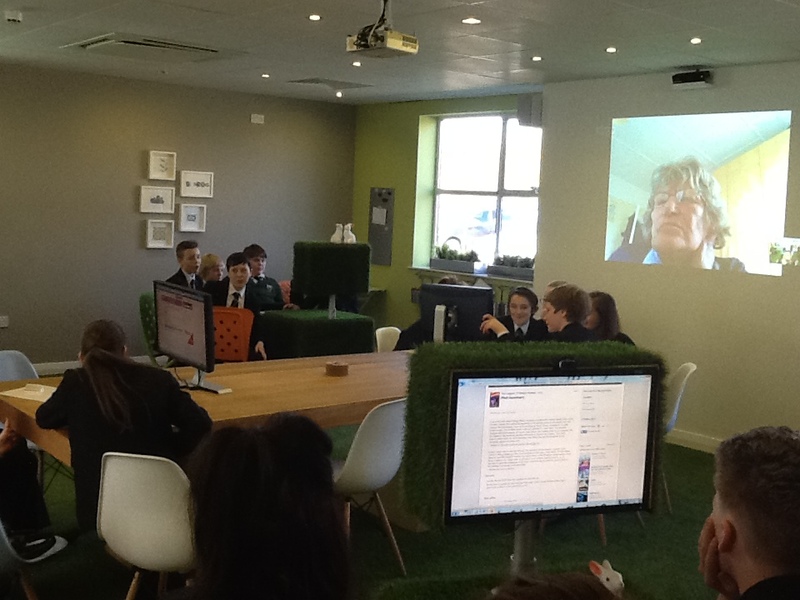 February saw the exciting launch of Room 13, Greenfield’s own “School in the Cloud” with Professor Sugata Mitra and over 60 guests. Room 13 will provide IT and technology facilities in an indoor/outdoor themed space, providing a social atmosphere for students and the community to learn independently through an enquiry based approach. The space will be used by students and staff at Greenfield for this research, as well being accessible to local primary schools, community partners and members of the community. Greenfield Arts worked with Kiosk Architecture & Design to adapt the entrance area of the school arts centre and convert existing meeting rooms to create a project space that reflects the ground-breaking and fresh approach to learning. A large glazed wall between the school’s entrance and the space makes for an open and spacious environment and allows for visual connections in and out of the room. The innovative learning, creative and enquiry space is designed around clusters of computer consoles for working in small groups as well as a large central table to meet and discuss. 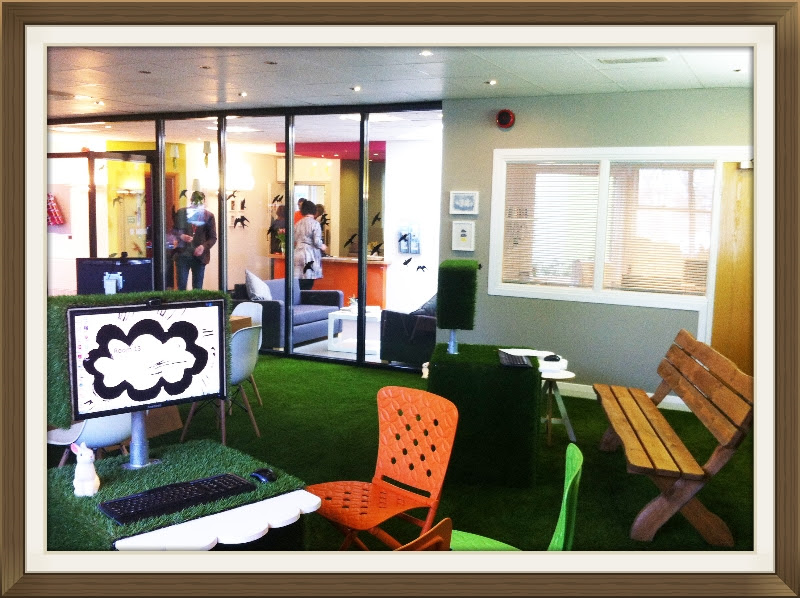 Artificial grass on the floor and surrounding computer consoles and park benches give you a sense of being outdoors. The School in the Cloud research was developed by Professor Sugata Mitra, which has shown children can learn by themselves if they have access to the internet. His work has also shown that children do better if they are encouraged by a friendly adult – which is why the sessions are conducted with a friendly’ granny’ observing via Skype. Professor Mitra won the $1m TED prize last year to fund his idea. 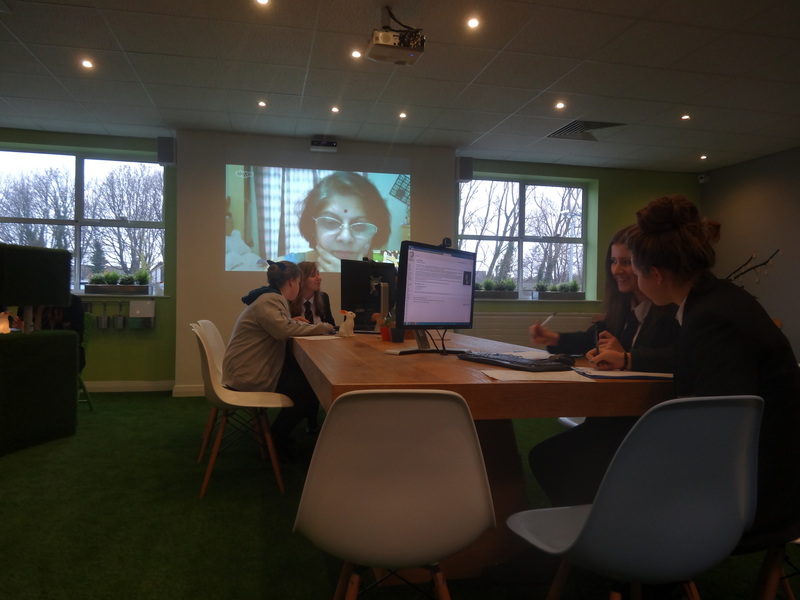 We have had a lot of SOLEs sessions in our Room 13 over the past month since opening – all with a different “Big” Question – here is what Sugata Mitra has to say about “Big” questions! The Big Question from Docs & Pieces on Vimeo. School in the Cloud site launched! From 17th – 21st March Vancouver, Canada hosted this year’s TED conference. Following Professor Mitra’s success there last year winning the award that made the School in the Cloud spaces possible the fantastic new website for the project was launched on Wednesday 19th March. The site is now live for all to see – click on the image above to go to the site! 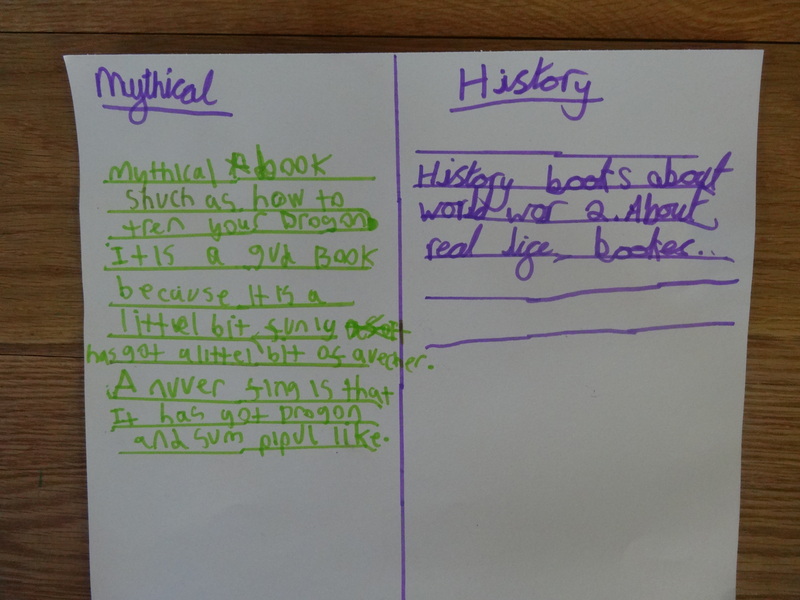 Deciding what to write in this blog post is a tricky one as our “school in the cloud” project is new and so much is happening already! English SOLEs sessions that asked questions about text, Time 4 Success tutor sessions about global issues, sessions that are supporting the improvement and engagement of reading with KS3/KS2 after school and a visit from 15 Dutch colleagues interested in the work that we do here and particularly in our new Room 13 space/SOLEs and this is just to name a few! Coming up….more big questions and some new faces to Room 13. 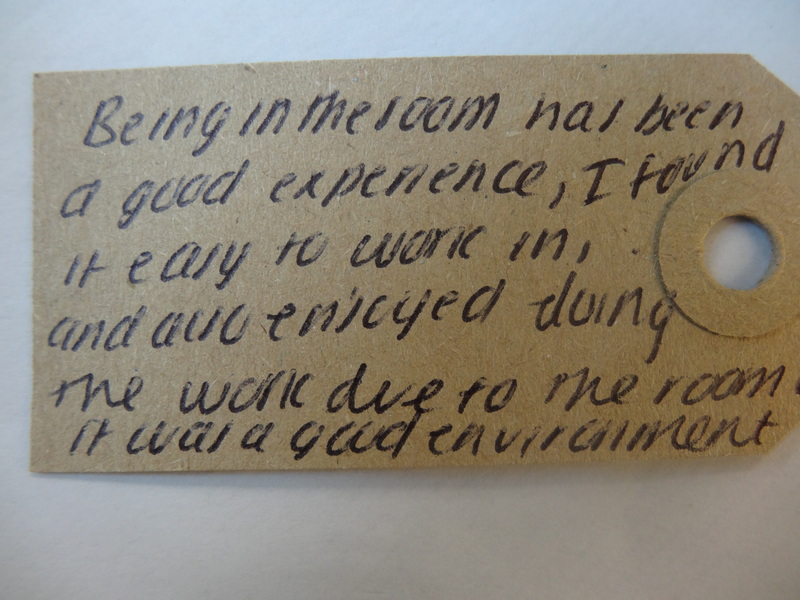 We are completing some short questionnaires about staff perceptions of SOLEs before many of them experience it. We have a visit from a colleague at Parkside who is interested in what we are doing and we are looking forward to seeing another of Sugata’s PhD students, Cathy and her colleagues again in the next few weeks. I thought this week it might be interesting to talk about the role of the ‘granny’ in SOLEs ( self organised learning environments). Grannies can be any age, any gender, any nationality and have a role in encouraging and supporting the young people with their learning. We are keen to see how this role evolves during our research. The origins of the granny role are described in this blog post. We have been exploring Professor Sugata Mitra’s SOLEs method for over 4 years now but very rarely have we had a ‘granny’ work with us during the sessions. Everything in Room13, our ‘school in the cloud’ space, is so new since the launch was only a few weeks ago on 13th February and we are learning together about what works and what doesn’t work so well. 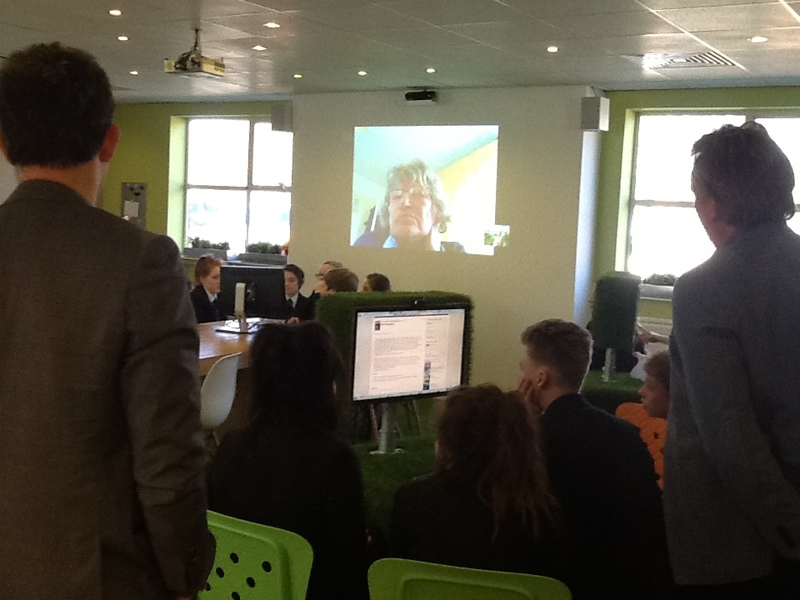 So one of the things to try out is skyping in a ‘granny’ to find out what there role can be. This week we had ‘Granny Catherine’ join in during an English lesson about what makes a good book. She asked the group some great questions (I wasn’t present in the session but could hear via an IP camera in the other room). The students were fascinated with the fact there was a lady on the wall in the room projected almost twice the size as normal interacting with them! The role was one of encouragement and interest in what the class was finding out. No prior knowledge of the subject was needed to do this ‘granny’ role as there was a sense that everyone was learning together and that one person was not the ‘expert’. The question was therefore a genuinely curious one. We are looking forward to beaming in more ‘grannies’ (any age, any gender, any nationality) and exploring what is possible. Thank you to ‘granny Catherine’ for her time. The group really enjoyed you being part of their session. We are looking forward to the school in the cloud website that will be launched soon, which will help make it easier to communicate with grannies directly in advance and book them in for sessions. Our SOLEs staff enquiry group meet again next week so I’m looking forward to hearing how their sessions have been going since half term and what they are observing. I’m interested to hear how they feel the ‘granny’ role may work in their sessions too. We will also be looking through the pro formas we set up before the launch and evaluations that have been completed so far so we have a good picture of activity and findings from our first month in Room 13. Exciting (and extremely busy) times! We have had lots of activity in Room 13 and lots of SOLE’s sessions. One group have been exploring global issues around Fairtrade and others have been looking at natural selection and What makes us Human. We have had many external requests for information about the School in the Cloud Project and visitors/colleagues interested to come and visit to see the new space. 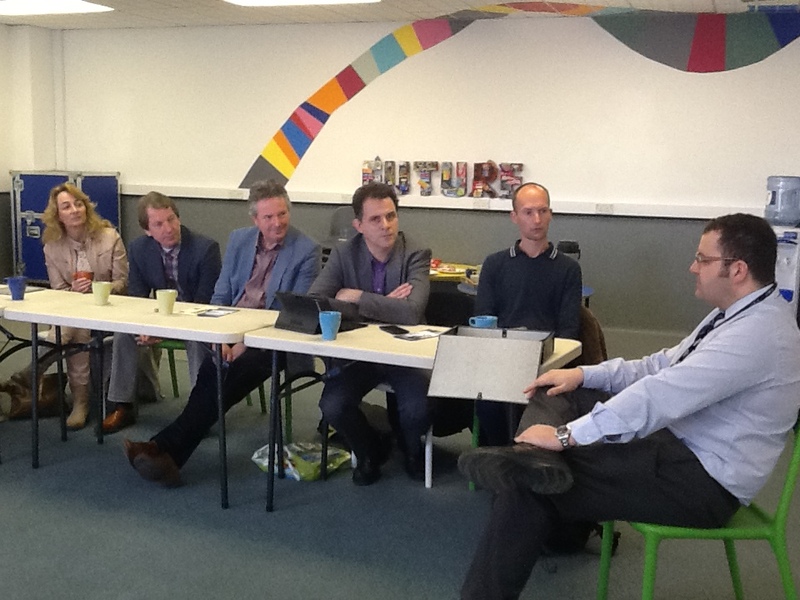 This week we have had 15 colleagues from the Netherlands who are really interested in SOLE’s and enquiry based learning. They saw a session with an English class in action and inspired by the learning the young people generated. We are looking forward to delivering a CPD session to Chilton Community Primary at the end of the month in Room 13 and working together with them to see how SOLE’s can be used in their own school. Our SOLE’s proejct with KS2/3 exploring reading is going very well and they are planning to put a presentation together as a result of the work to share with the Head teachers. They have been given a budget to buy some books for the school and their work SOLE’s work will inform what they choose to buy. Well, it’s been a busy week in Room 13 and the first week that teachers and students have been able to officially book the space and explore the SOLEs method in our new creative indoor/outdoor room. We have had 9 sessions this week. A crazy busy week 1! There have been questions about diaries, Russia and reading this week and we have had visits from year 8, tutor groups, year 11 at greenfield and a great KS3/KS2 project with Chilton Community Primary School. Looking forward to seeing how this work evolves. As well as these wonderful SOLEs sessions I met with Sugata and the uk team before his return to India. We continued to consider ways we can record and capture our learning. We have already created a few ways to begin doing this at Greenfield with a simple pro form to record activity and learning as well as expectations. There are a number of ways that exist in our room to get us started and help establish the young people’s thoughts. The bigger global ‘School in the Cloud’ project however will need ways in which we measure some of these things common, helping us notice similarities/differences and the impact this work has on teaching and learning. We also had a great chat and visit from one of Sugata’s PhDs students, Sally Rix, who amongst other ideas is going to devise a short questionnaire for teachers before many of them get too far into activity. As well as all of this exciting SOLEs stuff and School in the Cloud project work we have had several creative sessions/ meetings in Room 13 this week and have come up with some exciting activities and plans. This included a visit from a group of artists and the lovely Vicky and Nicola from Navigator North. It also saw a group of artists, creatives and designers meet on Thursday to make some really exciting things happen.